Progress continues apace on the redevelopment of the former Anns Grove School, with fourteen tenants moving into Sum Studios since it was launched back in July including graphic designers Peter & Paul, MM Design, Curv Creative and Tahninial, creative media company DESQ Limited, video production company Visionmix and The Treatment Space, a new centre for Physiotherapy and Acupuncture. 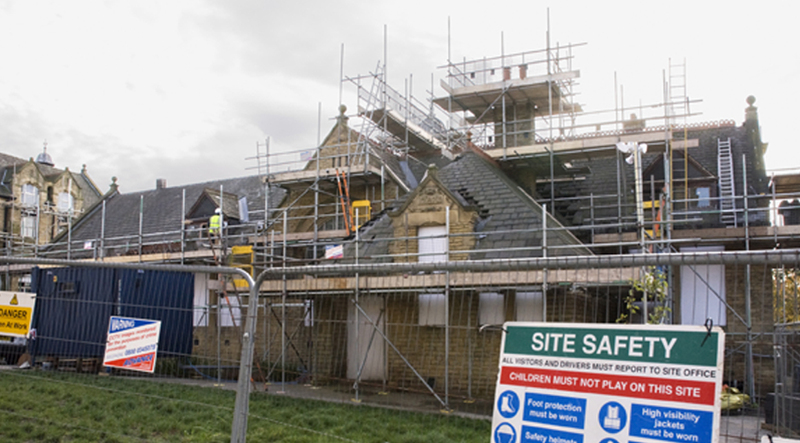 Builders are back on site fully refurbishing the roofs of the Gleadless and Hartley buildings, fixing the dry rot and asbestos while taking care not to use any lead, the theft of which previously caused substantial damage. Additional security equipment is also being installed and the 1960’s building on site has been demolished, bringing the complex back to its original design and layout. 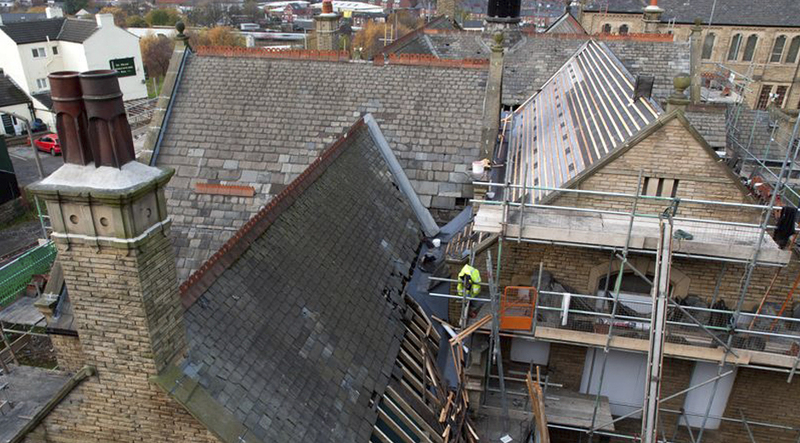 “With the buildings safe and further deterioration halted we have the breathing space in which to continue fundraising” explained Heeley Development Trust Manager Andy Jackson. “We are currently writing bids to complete the restoration of the whole site, which will see Community Facilities, Halls, Art Studios and a Cafe established in the Hartley and Gleadless buildings and the completion of the landscaping of the former playground areas”. “We have a lot of money to raise and it’s incredibly important to our bids that we demonstrate local backing, so all the words of support and encouragement we have received from members of the local community have been really helpful”.